The monthly Welsh language periodical of the True Ivorites Society that published poetry, domestic and foreign news, and articles on the Ivorites and on general subjects. The periodical was edited by Evan Evans. 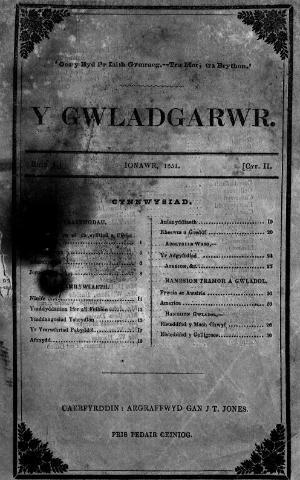 Associated titles: Yr Iforydd (1841); Ifor Hael (1850).